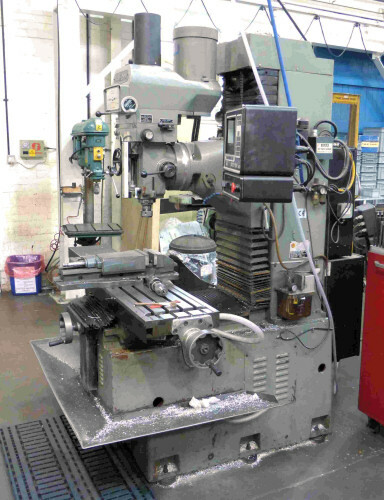 Scott Ellis Machinery - Quality Used Machine Tools. Sellers: We need to know about your Surplus Equipment. We are consistant buyers of Used Machine Tools. Buyers: Anything we don't have in stock, we can source. 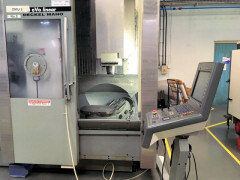 Year 2006 Mikron XSM 600U 5 Axis Ultra Fast 7 Pallet Multi Axis Machining Centre. + 7 off Additional Pallets Pallet Dia 450mm Spindle Speeds to 36,000 RPM 60 Auto Tool Changer with 60 Off Tool Holders. Renishaw Probing. Heidehain iTNC 530. Feeler FV800 CNC Vertical Machining Centre. Traverses 800 x 500 x 500mm. 20 ATC. Speeds to 8000 RPM. Seimens Sinumerik 802D. Year 2001. Fadal 4020 CNC Vertical Machining Centre. Traverses 1000 x 500 x 500mm 21 ATC. Speeds to 10,000 RPM. 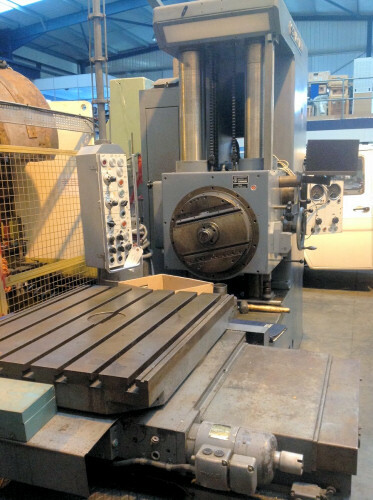 Fadal Model 3016 4 Axis Vertical Machining Centre. With Extended Z Axis. Traverses X/Y/Z 762 x 406 x 700mm. 4th. Rotary Axis with Tailstock. Spindle Speeds to 10,000 RPM. Rigid Tapping. 21 Auto Tool Changer. Traverses 508 x 406 x 508mm 20ATC. 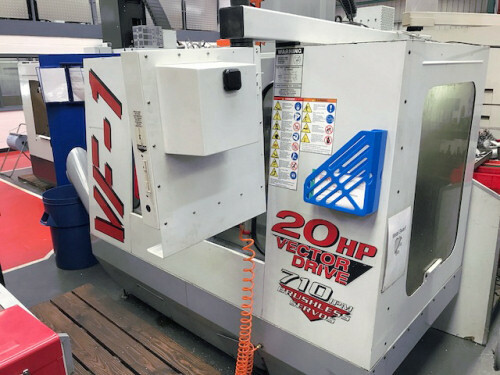 XYZ – DPM CNC Bed Mill. Traverses X/Y/Z 787 x 508 x 584mm MX3 CNC Controls. Installed New 2000 Miyano BNE 51S 7 Axis CNC Turning Centre. Full C Axis on Both Spindles. Live Tooling. 51mm Dia. Chuck Cap. 120mm. Hydrofeed Mag. Bar Feed. Fanuc 18T Many Extras. 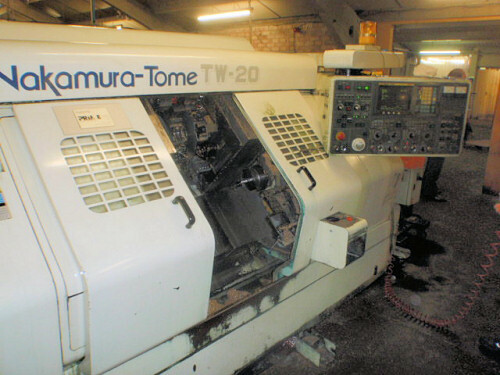 Nakamura TW20MM 6 Axis CNC Turning Centre. Twin Spindle, Twin Turret. Live Tools Mag Bar Feed. 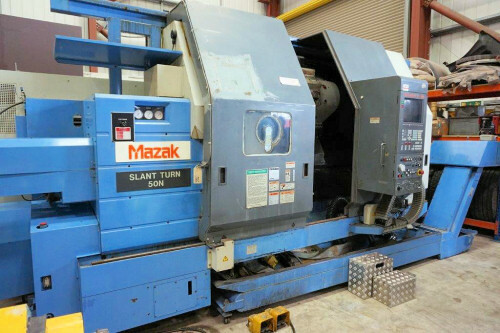 Mazak Slant Turn 50N CNC Lathe. Swing 787mm Dia 500mm Dia Power Chuck Good Tooling Mazatrol T Plus. 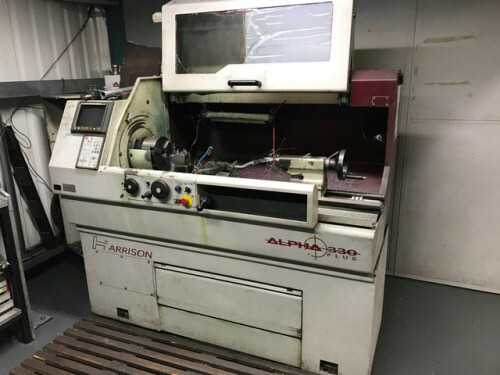 Harrison Alpha 330 Plus CNC Lathe. 330mm Dia swing x 1000mm. Spindle Bore 40mm Dia. Fanuc CNC Control. Spindle Dia 125mm. Rotating Table 1000 x 800mm 3 Axis DRO. Webster & Bennett 36M Vertical Borer. 36" Table Dia Swing 48" Dia. Table Speeds to 300 RPM. 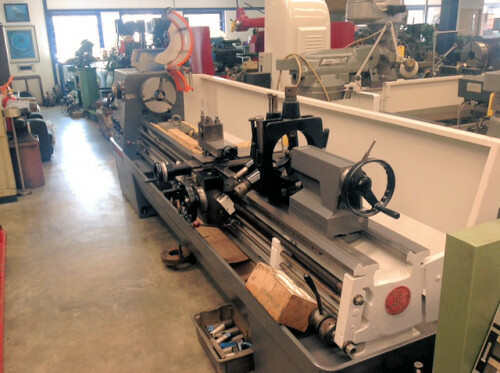 Poreba TR135B2 Heavy Duty Centre Lathe. LITTLE USED. Swing Over Bed 1350mm Dia x 2000mm. Spindle Bore 120mm Dia. 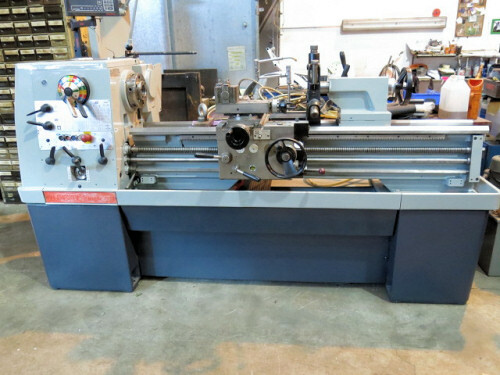 Lumsden 91ML Vertical Spindle Rotary Grinder. Wheel Dia 559mm. Max Work Height 280mm. Auto Feed. 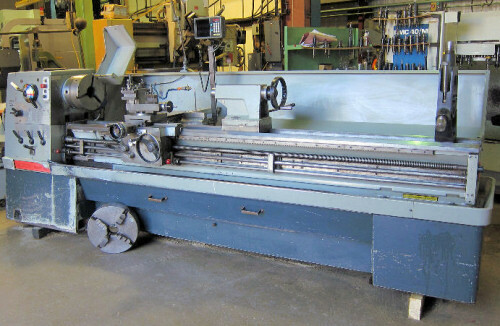 Colchester Triumph 2000 x 50" Gap Bed Center Lathe. 390mm Dia. x 1250mm Well Equipped 2 Axis DRO. Colchester Mascot 1600 Gap Bed Centre Lathe. 433mm Dia Swing x 2500 mm Between centres. 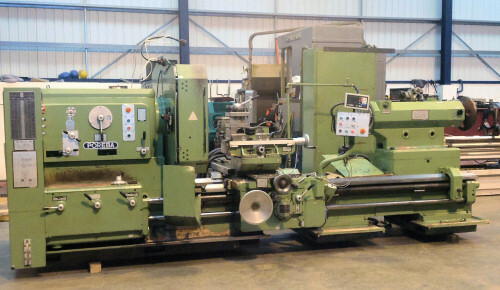 Colchester Mastiff 1400 Gap Bed Centre Lathe. 535mm Dia Swing x 2500mm Between centres. 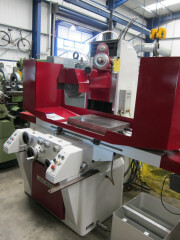 Harrison M550 Gap Bed Centre Lathe. 558mm Dia Swing x 2000 Between Centres. Jones & Shipman 1300 Universal Cylindrical Grinder. Capacity 250 x 685mm. Variable Speed Workhead. Internal Grinding Attachment. Mag Chuck. Steadies. Many Extras. Table Working Surface 550 x 320mm. Traverses X & Y 400 x 250mm. Stroke of Vertical Slide 400mm. Taper Grinding 12 Degs. Spindle Speeds with Electric Motors 9,000 – 80,000 RPM. Slot Grinding Attachment along with MANY, MANY EXTRAS. XYZ KRV2000 Turret Milling Machine. Table 1270 x 254mm. Spindle Taper R8. Speeds to 4200 RPM. Power Long Feed & Rapids 2 Axis DRO.